Lock in a great price for Almograve Beach Hostel – rated 8.3 by recent guests! Bed was comfortable, shower was fine, location was near to the beach and the start of the next days hike. There was place outside our window for us to dry our clothes after teh days hike which was great. Nice room in a comfy house. Good place for a one night stop when hiking the Rota Vicentina. Great location close to the beach and we had the entire place to ourselves. Nice log fire for cold evening. Fire place in living room, easy remote check in process. Very nice family running the place. Whatever you need or is missing they will provide on kind request. We even could do the laundry! Very clean, comfy place. Great location to visit all beaches in the region. Super nette Nadja, sehr sauber, tolle Lage, sensationelles Frühstück, excl im Preis, aber mit 7,50 € absolut OK. Frisches Obst, Müsli, frischer selbst gebackener Kuchen. Einfach gut! Transfer des Gepäcks angeboten, was klasse war, weil der bevorstehende track 22 km lang war. Located in Almograve, Almograve Beach Hostel features a shared lounge. Free WiFi is included. 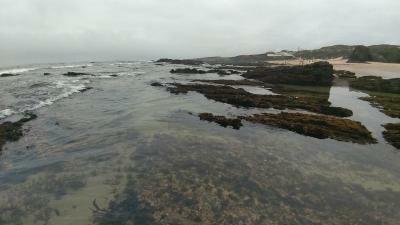 Vila Nova de Milfontes is 8 miles from Almograve Beach Hostel. 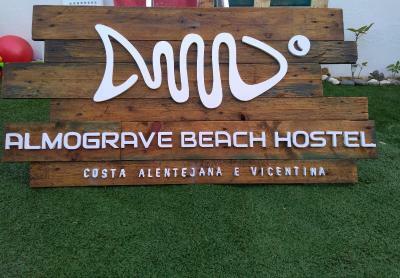 When would you like to stay at Almograve Beach Hostel? House Rules Almograve Beach Hostel takes special requests – add in the next step! We didn't actually have any communication with the owners nor did we see any staff. When we arrived there were some other guests who were on the phone with staff and were given a code to get a key for the room. They asked for us and we got a key. So basically it was up to ourselves to do and find all the little things guests are usually shown upon arrival. This was not a big issue but in comparison to other places, associating a friendly face with nice accommodation adds to a positive experience. No breakfast options. Rooms are in need of a trash can, a towel holder and a chair or table to put clothes etc. Bathroom got a bit dirty after everyone was done showering. 4 people that didnt know each other in a very small room and no storage for backpacks. Beautiful building and nice facilities. The're was no locker which is nice to have in hostels. Cute house with all you need. I would have liked at least some interaction with the host. Price: If they charge you more than €16 for the dorm in shoulder or low season they're ripping you off (happened to us, other guests paid a lot less than us for the same thing), bathroom: not well equipped, no key to lock downstairs toilet, no hair dryer (all other hostels in the region had one), no shower head holder, kitchen: four burner stove, only one burner was functional, hard times to prepare dinner, basic cooking utensils missing, but instead a capsule coffee machine next to the sink (beware: every capsule costs 50 cent), no environmental consciousness at all, I hope no one uses the damn thing. Room: my friend woke up with four bites on her body (foot, hand, neck, arm), which were not there the night before when we went to bed. I can only say: never again. Not much in the way of eating place in the area.